As we have such a huge range of Drum stock and our stock is constantly changing, we cannot keep the availability of each item up to date daily. We also cannot list every item for sale. If you do not see the item you are interested in or if it's been sold, then please contact our shop on 01872 271701 to check for up to date availability. 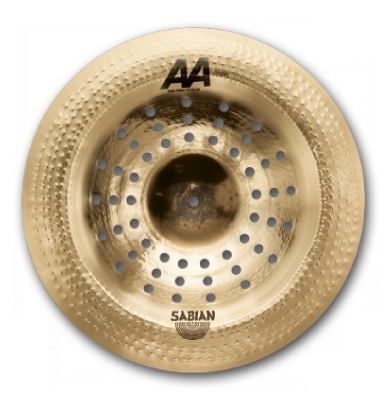 The Dream Contact series feature a shaped and slightly deeper profile with a relatively larger bell. The stick feel is very lively, The pitch is higher but still rich and warm. These are medium to medium thin cymbals that speak very easily. Faster and louder, these plates also have depth and complexity in the undertones and a shimmering wash that drives the sound forward and up. At home in studio or live situations. The Dream Contact ride cymbals are heavier and full bodied. These rides have lots of sound to give. A full harmonic spectrum keeps them in tune with whatever key while providing the articulation needed to drive the band. Sabian HHX Evolution Splashes are highly responsive and have a bright, fast and penetrating projection. Sound Character: Mellow, warm, yet brilliant with a hissing shimmer. Medium range and fairly clean mix. Warm, light and woody open sound, paired with a well defined, soft chick-sound. 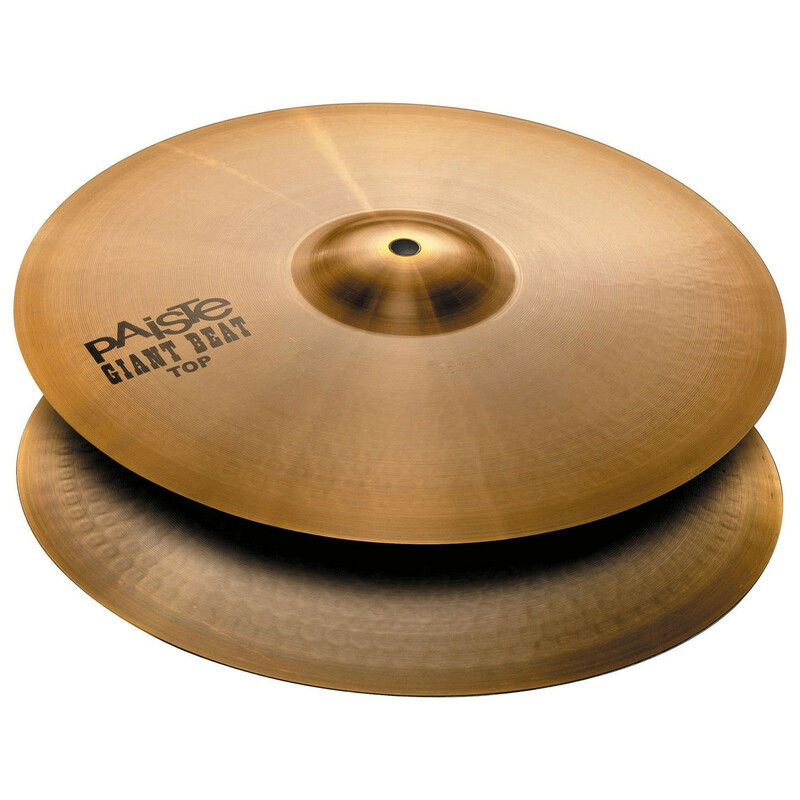 A very classic hi-hat for multi-purpose application in different musical genres. 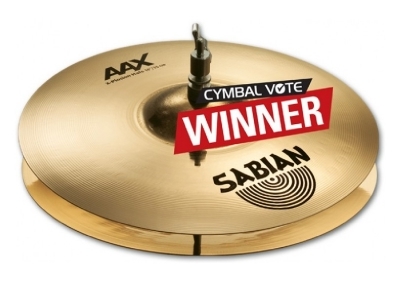 SABIAN introduce the Holy China - the latest cymbal model added to the Sabian Vault collection. 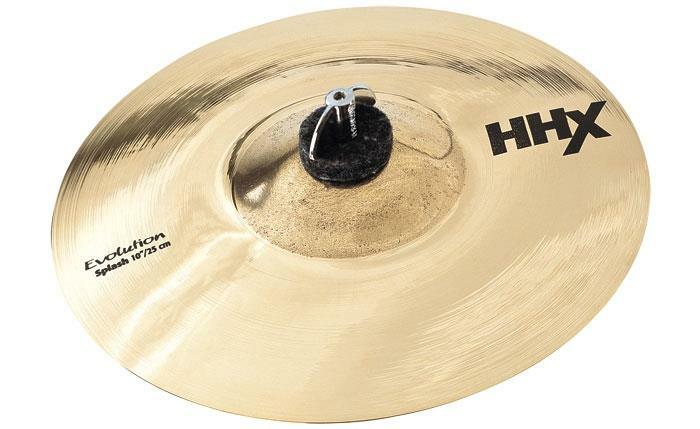 Using Sabian innovation and forward-thinking cymbal design, the Holy China features a higher profile to raise the pitch, holes for volume and sustain, and a large, unfinished bell for cut and durability. This is truly a modern China cymbal. The Holy China is not for the faint of heart. The combination of various holes, large raw bell, high profile and wide lip create a monster of loudness and cut. 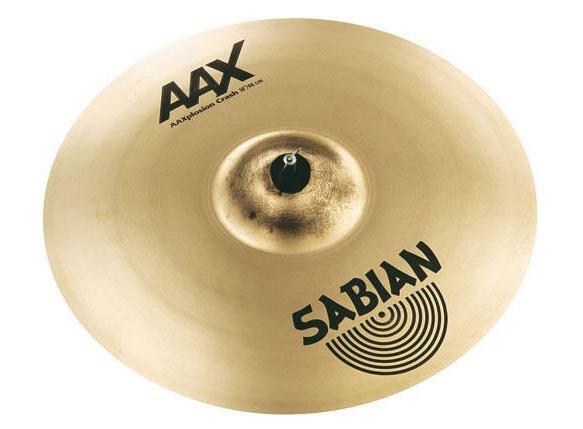 It’s a unique and explosive package, and it was developed with Red Hot Chili Peppers drummer Chad Smith - only from SABIAN. 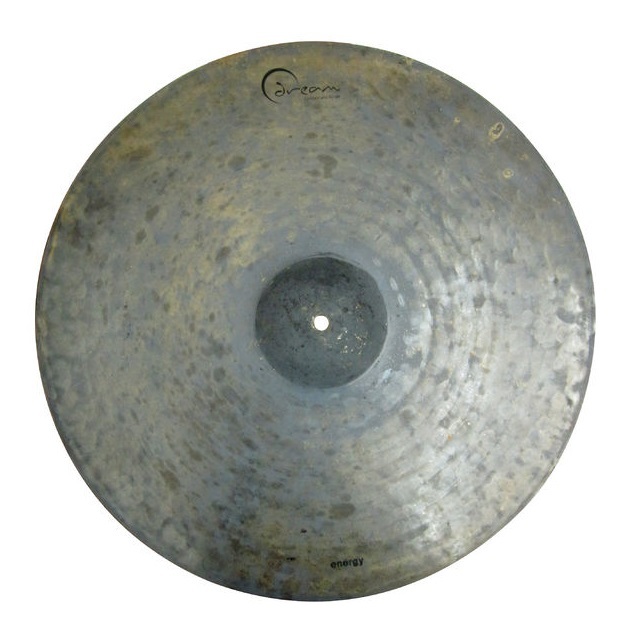 Zildjian A Custom 8'' Splash Cymbal - Best Price in the UK - Only One Left in Stock! 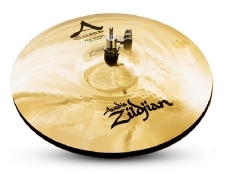 Zildjian A Custom Series - It's tough to top the unmistakable and reliable sound of A Zildjians for almost any playing situation, but the award-winning A Customs are an irresistible alternative. Developed with the assistance of drumming icon Vinnie Colaiuta, A Customs utilize radical rotary hammering techniques, thin to medium weights and a striking Brilliant finish for a crisp, sweet, sophisticated Zildjian sound. Not too dark, not too bright – cymbals that are just right for modern music. 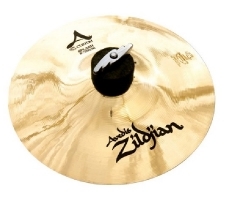 This very special one off deal includes a brand new Zildjian A Custom 8" Splash Cymbal at a one off special price. It is a very musical splash and produces a Fast, colorful, short crash sound. 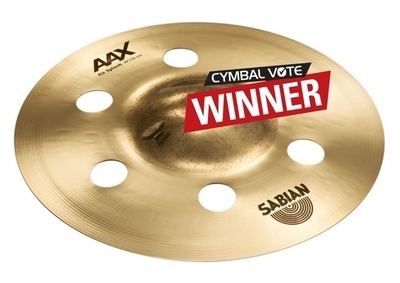 Not a crash, not a ride - OMNI is a revolutionary new cymbal from innovative Cymbal-maker SABIAN. 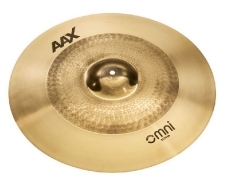 Developed for the astonishing Jojo Mayer, the vision for OMNI was to create a cymbal with outstanding sonic contrast both when played on its own or with other cymbals. This ambitious goal required a radical rethink of the architecture and construction of a cymbal. “Our 30 years of innovative cymbal making really served us well here,” says Master Product Specialist Mark Love. “OMNI was a challenging process, but in the end we couldn’t be happier with the result. A medium-weight center in brilliant finish, and an extra-thin, natural finish edge make for a cymbal that’s striking in appearance. But it’s the highly musical tone structure and careful balance of frequency that enable this cymbal to sit so well in any musical setting. OMNI is the latest cymbal innovation from SABIAN, and it’s covered by the SABIAN Two-Year warranty. The Dream Dark Matter Series are heavy and totally un-lathed. While not at all gongy, they certainly can ring a bit more than a traditional lighter cymbal. Stick response is fantastic. 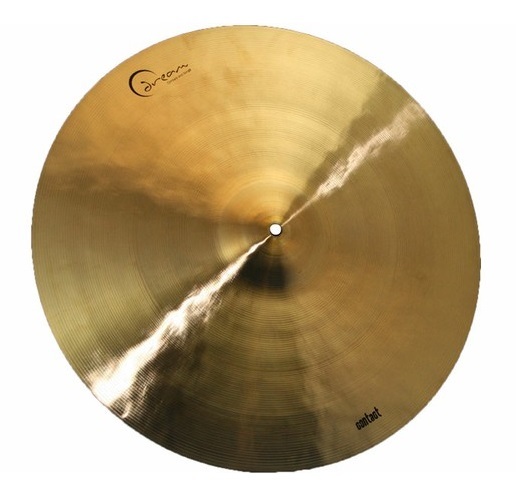 The Dark Matter Energy Ride 20” represents a wholly unique sound and look in a ride cymbal. It is based on a lathed Energy that has been re-fired and treated. The bell features the same coveted un-lathed bell as the Energy series: loud and clear. Their unique burned finish make each a visually stunning work of art. The sound is a powerful combination of dark sound and total clarity of definition. Though weighted as rides their unique personality makes them awesome beasts of a crash with huge long sustains when you hit them hard. 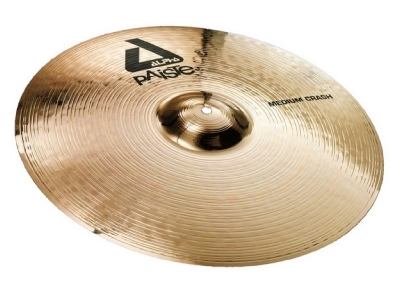 This is a punchy, cutting splash cymbal that really opens up and breathes. With 1" holes in the 10" model, the Air Splash incorporates a raw bell with AAX hammering and lathing, resulting in a biting splash with plenty of substance and depth. The sound of professional B20 bronze in cymbals designed for the mid-price point, XS20 offers a choice of popular models and sounds with SABIAN quality at a nice price. Combining the response of a thin model with the increased power of a medium-weight, this is a highly versatile and effective crash for any drummer. 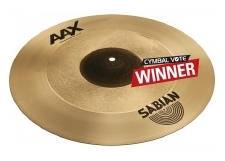 Sabian's O-Zone cymbals have been one of the most popular innovations in recent years and the success of the HHX and AAX O-Zone cymbals has been bought to a more affordable with the B8 Pro O-Zone and now the XS20 O-Zone crash. 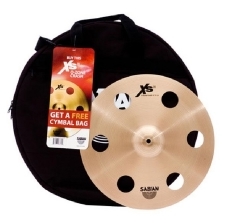 This Sabian XS20 16" O-Zone Crash also comes with a FREE Sabian Black Nylon Cymbal Bag worth £30! The exclusively Brilliant Finish B8 Pro series delivers bright, tonally controlled responses in a wide range of models priced just right for players getting into quality bronze cymbals. 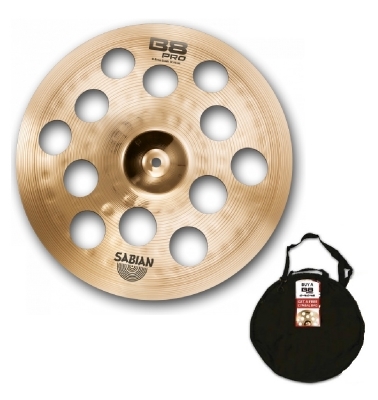 This Sabian B8 Pro 16" O-Zone Crash also comes with a FREE Sabian Black Nylon Cymbal Bag worth £30! This very special one off deal includes a pair of brand new Zildjian A Custom 13" Hi Hats at a one off special price. They are light, crisp, subtle and very colorful. They produce a delicate stick sound with clean "chick."